Few places lie closer to the heart of England's heritage than the New Forest. This work covers from the cruel forest laws of the Normans and their passion for hunting, to the founding of Beaulieu Abbey by capricious King John; from the very real dangers of the Spanish Armada to t... read full description below. Few places lie closer to the heart of England's heritage than the New Forest. 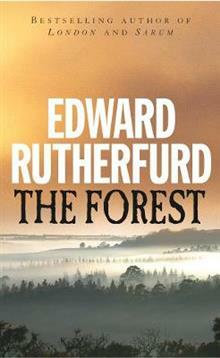 Now Edward Rutherfurd, is a chronicler who can weave its mystery and legends into a compelling narrative worthy of its role in our history. From the cruel forest laws of the Normans and their passion for hunting, to the founding of Beaulieu Abbey by capricious King John; from the very real dangers of the Spanish Armada to the elegance of Georgian Lymington; from the herds of wild deer and horses which have roamed free since time immemorial to the mighty oaks which provided timber for Nelson's naval ships, Rutherfurd has captured the essence of this ancient domain.